Iain Campbell reviews François J. Bonnet’s The Order of Sounds, alongside Brian Kane’s Sound Unseen, in the new issue of Sound Studies: An Interdisciplinary Journal. Unfortunately owing to delays in printing, Yuk Hui’s The Question Concerning Technology in China won’t be arriving until around 23 December. 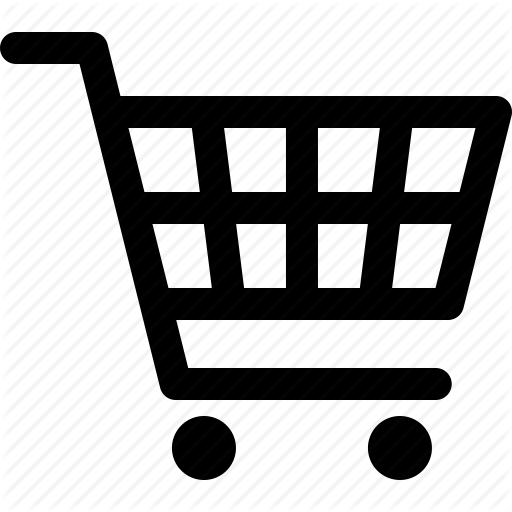 We will try to fulfil all orders immediately, and apologise for the delay. Thanks to everyone who pre-ordered, it really does help us. Listen back here to Radio 3’s Hear and Now show from last night, the BBC’s first live binaural broadcast, featuring a programme of electronic music selected by Florian Hecker, and the première of his new commissioned piece Inspection—Maida Vale Project with libretto by Robin Mackay, featuring the BBC’s own EMS 5000 vocoder. 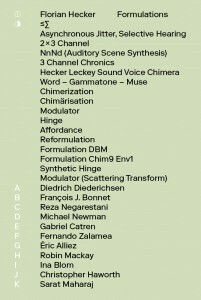 We are pleased to share news of the publication of Formulations (Koenig Books [London]/Culturgest [Porto]/MMK [Frankfurt am Main]), a volume of essays on the work of Florian Hecker published to coincide with the opening, on 26 November, of the exhibition of the same name at MMK Frankfurt am Main, following its original version at Culturgest, Porto in Autumn 2015. This transdisciplinary volume brings together writers many of whom will be familiar to Urbanomic readers: contributions come from Diedrich Diederichsen, François J. Bonnet, Reza Negarestani, Michael Newman, Gabriel Catren, Fernando Zalamea, Éric Alliez, Robin Mackay, Ina Blom, Christopher Haworth, and Sarat Maharaj. 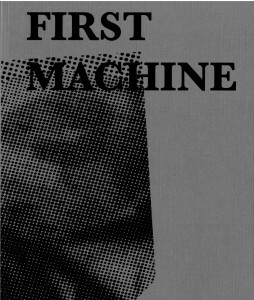 The technique originated in the protocols of early textual machines constructed during the 1960s and 70s, when it was discovered that the (then manual) cutting and gluing of source signals afforded otherwise unobtainable effects. Where these early stochastically-inclined experiments disregarded semantic constraints, however, our (arguably more conservative) approach factors them in at the interpolation stage, and uses a normalising heuristic global model as an initial filter for fragment selection. With semantic sample conformance detection limited by the memory constraints and discriminatory threshold of the editing module, even repeated iterations rarely yield a ‘smooth’ result: the interpolations remain discernible, their perceptual effects ranging from a sometimes rewarding conspicuous splitting of semantic streams and conceptual themata to the incidence of unpleasant, abnormal, or jarring artefacts in otherwise sound concatenations of semantic units. 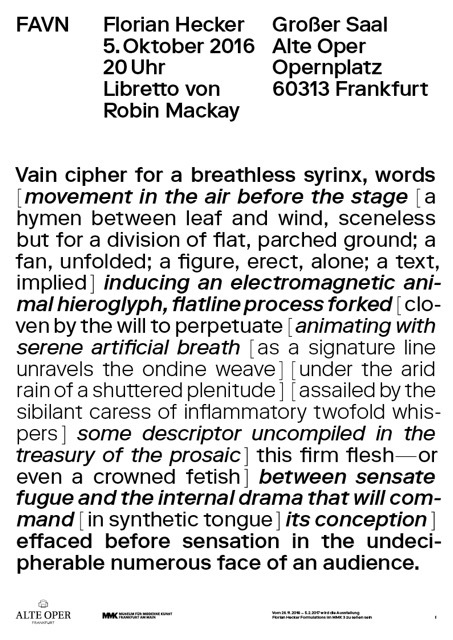 Nevertheless the suggestive synthetic, perspectival, and even hallucinatory effects obtained here by means of subset interpolation are positive indications for the use of CVI synthesis in the assembly of diverse textual reformulations. 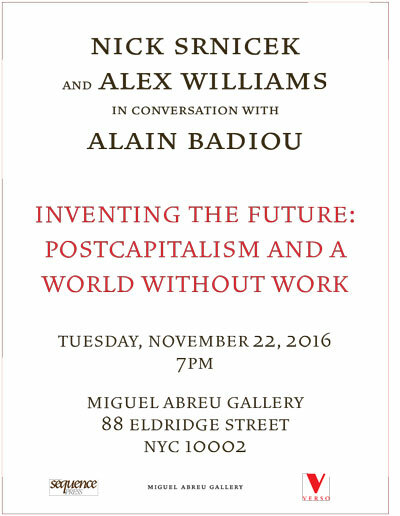 A very exciting event coming up at Sequence Press: Alex Williams and Nick Srnicek, authors of Inventing the Future and, of course, the Accelerationist Manifesto, will be discussing their work, and the future of left politics and universalism, with Alain Badiou in New York tomorrow, Tuesday November 22nd. François J. Bonnet speaks about The Order of Sounds at Unsound festival in Krakow, Tuesday 18 October: details here. Tuesday 6 September, 7–9 PM, Emily Harvey Foundation, New York: François J. Bonnet will be talking tonight in New York about his book The Order Of Sounds: A Sonorous Archipelago, at an event hosted by Blank Forms. More details here. We’ll be at the Society for European Philosophy’s SEP-FEP conference from 25–27 August, at Regent’s University London. If you’re attending the conference please come and say hi and browse. Operating at high theoretical altitude, in The Order of Sounds, François Bonnet sets himself a Herculean task: nothing less than the retheorisation of sound as such. […] what makes these books pulse is the rapidity with which new ideas are named into existence […] attest[ing] to the power of the well chosen example to incarnate and extend thought. I’m pleased to announce that I have been appointed as Visiting Research Fellow at Goldsmiths Department of Visual Cultures for three years. Very much welcome the opportunity to working with the staff and students of this excellent department, and looking forward to it! Etienne Balibar on Brexit as inverse Grexit, in Libération: link to original article. A weak Athens was ostracised from within the frontiers of the European Union. There is every reason to believe that this process will be reversed for the British: the geometry of the European system will adapt itself to reintegrate them by the back door. Although not at all seeking to minimise the dramatic character of the consequences that will follow the United Kingdom’s vote, both for the British and for Europe, I am struck by the way in which the headlines of the French and overseas press are presenting the situation: ‘After Brexit…’. With few exceptions, they all seem to take it as given that the divorce has taken place. But in reality, we are certainly entering into a turbulent phase whose outcome is not at all clear. It is this uncertainty that I would like to try and discuss and interpret here. As we know, comparison is not rational argument; yet how could we not recall at this moment that, in the recent history of European politics, the results of national and transnational referendums have never succeeded in being implemented? This was the case in 2005 and in 2008 for the ‘European Constitution’ and the Lisbon treaty—and even more so, even more obviously, in 2015 for the Memorandum of Understanding on Greece. The same will probably apply this time. The British ruling class, beyond the personal conflicts that have tactically divided them, are manoeuvring to avert disaster and to best negotiate the terms of the ‘exit’. Certain governments (with the French at the helm), as well as the Commission’s spokesman, continue to bluster (‘leave means leave’). But Germany doesn’t see it that way, and any unanimity between the European nations is only a facade. Most likely, following a period of tension, whose outcome will be determined not so much by public opinion as by the fluctuations of the financial markets, we will end up with the fabrication of a new geometry of the ‘system’ of European states, in which lack of formal membership of the European Union will always be compensated for by other structures: the Eurozone, but also NATO, the border security system that will succeed Schengen, and a ‘free exchange zone’ that will be defined as a function of relations of economic forces. From this point of view, also, the comparison between Grexit and Brexit may prove instructive: the weakness of Greece, abandoned by all those who, logically, should have stood up for it and supported its claims, has led to a regime of internal exclusion; the relative strength of the United Kingdom (which can count on solid support in the EU) will doubtless lead to a yet more accentuated form of external inclusion. Does this mean that nothing will have really happened? Obviously not. Let’s briefly examine the ‘English side’ and the ‘European side’, before stating why they are not separable from each other, but represent two sides of the same coin. It is obvious that the particular history of Great Britain, its imperial past, its social history consisting in brutal reversals, must be taken into account in order to explain the emergence of a hegemonic ‘anti-European’ feeling. The analyses that have been put forward show that this general feeling stems from extraordinarily diverse motives, divided by factors of class, generation, nationality, and ethnicity. Potentially, they are in contradiction with each other, and it is this contradiction which has been smoothed over by the discourse of ‘sovereignty’ manipulately used by the Brexit camp. One might ask how long it will be able to mask the fact that, in particular, the economic and social havoc of which a growing proportion of the ‘new poor’ of the UK will be the victims are due to the cumulative effects of neoliberal politics, which have not been imposed on the UK by the EU alone—on the contrary, since the Thatcher epoch, and through the period of New Labour, the EU has been one of the most active supporters of Europe as a whole. In itself, Brexit—however it plays out—will provide no corrective for this situation. Except, of course, if an alternative politics were to gain a majority. But in order for this to happen—and this is not the least paradox of the situation—it would have to find a counterpart on the continent, for the law of competition between ‘territories’ will be asserted ever more powerfully after Brexit. Which brings us to the ‘European’ side. All specificities taken into account, none of the problems facing the United Kingdom are absent from the other European nations Which shows what truth there is in the ‘populist’ propaganda (‘neither right nor left’) which has now been unleashed throughout the EU, calling for referendums on the English model. Already, in 2005, Chancellor Schmidt observed that, without exception, consultations on the French and Dutch model had everywhere yielded negative results. The crisis of legitimacy, the return to nationalism, the tendency to project social and cultural malaise onto an ‘internal enemy’ targeted by xenophobic and islamophobic parties, have developed everywhere. The Greek crisis has been used by governments won over by social austerity to make public debt into a taxpayers’ phantasm. The refugee crisis has been conflated with questions of security. Clearly, what is manifesting itself in the UK as ‘separatism’ is happening everywhere in Europe, as a tendency toward the fragmentation of societies, the aggravation of their internal and external faultlines. A better way to say this would be to say that we have crossed a threshold in the process of the disaggregation of the European edifice, not because of the British vote, but as a result of what it has revealed about the polarising tendencies in Europe as a whole, and about a political crisis which is also a moral crisis. Not only do we find ourselves, as I have written before, in an ‘interregnum’; we are seeing a destituting process which, at the moment, has no constituting counterpart. Are we powerless, then? That is the question. In the short term, I am very pessimistic, because discourses of the ‘refoundation’ of Europe are in the hands of a political and technocratic class which has no interest in transforming the orientation that guarantees it the benevolence of occult power (that of financial markets), and has no wish to deeply reform the system of power from which it draws its monopoly of representation. And by way of consequence, the responsibility of challenging this political class is assumed by parties and ideologues who tend to destroy the links between European peoples (or more generally, those resident in Europe). A very long march will be necessary in order to come together and to clarify in the eyes of a majority of citizens, across borders, the close interdependence between shared sovereignty, transnational democracy, alter-globalization, the co-development of regions and nations, and translation between cultures. We have not reached that point, and time is running out…. Which is one more reason—if we believe in Europe—to tirelessly pursue an understanding of this situation. Elie Ayache in conversation with Ami Clarke at ICA, talking about his new book The Medium of Contingency, on 6 June: link. Sygma have just posted ‘Спекулятивная аутопсия’, Pavel Borisov’s Russian translation of Ray Brassier’s postscript to Object-Oriented Philosophy, ‘Speculative Autopsy’: link. 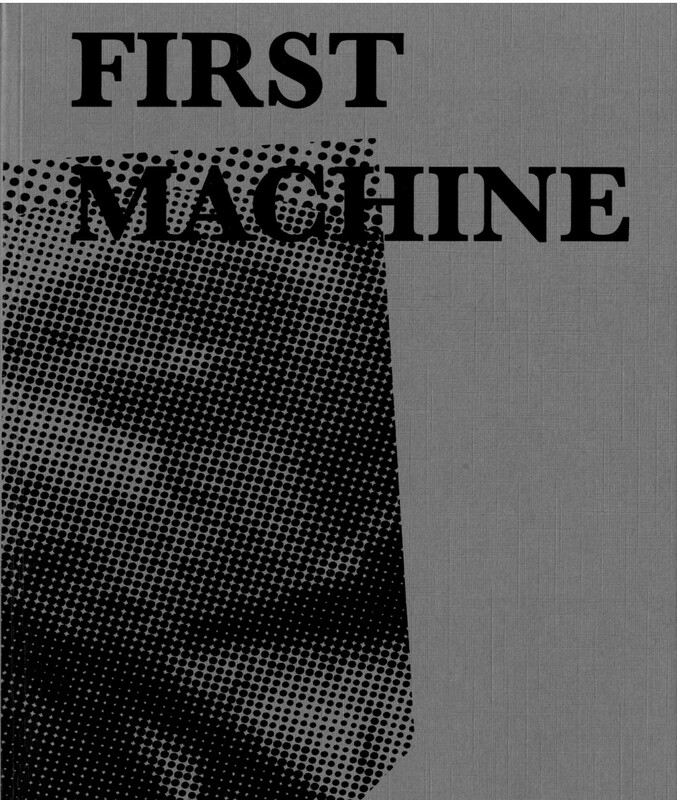 A new publication from Lanchester Gallery Projects documents the exhibition of Amanda Beech’s Final Machine, with a transcript of the discussion event with Bridget Crone, Marie-Anne McQuay, and Robin Mackay, together with new texts by Ray Brassier, Reza Negarestani, and the Confraternity of Neoflagellants. More details here. 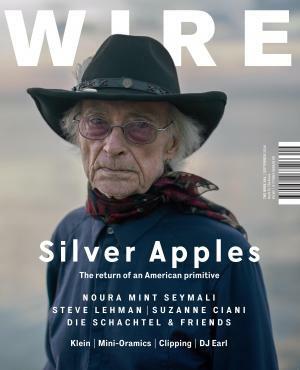 Over at DIS magazine Armen Avanessian and Suhail Malik discuss temporality, speculation, and the post-contemporary, introducing an issue including contributions from Elena Esposito, Laboria Cuboniks, and Benjamin Bratton. I’ll be speaking at the École des Mines in Paris next week on ‘Alliances Expedient and Theoeretical Between Philosophy and Contemporary Art’ – details here [[addendum: for a more glamorous alternative catch Nick Srnicek at the Odeon]] – and will also give the keynote, on ‘Approaching the Contemporary Object’, at the Humanities and Beyond: Exploring the Frontiers of Disciplinarity conference at the University of York at the end of May – details here. A round-up of current state of the (accelerationist) art work by Rob Myers at Furtherfield pulls together the threads of neo-rationalism, hyperstition, aesthetics, xenofeminism, and the post-contemporary.  This blog has been in hiatus for a while now. I will resume posting soon. In the meantime, here is a diagrammatic outline of my complexity and computation class at the New Centre for those who are interested. 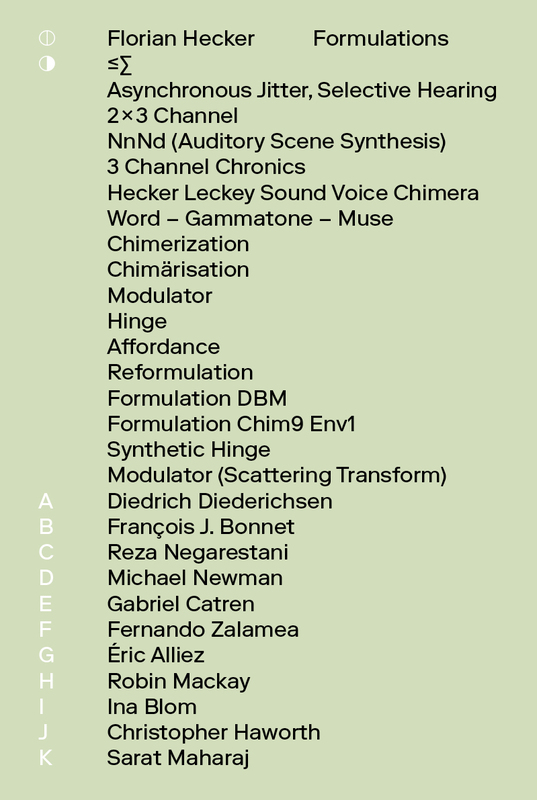 Florian Hecker performs his Chimerization, Modulator, and a new piece Synthetic Hinge in Bologna tonight as a part of Live Arts Week: more information here. Armen Avanessian on accelerationism, hyperstition, and the crisis of the university, at Reinventing Horizons: Accelerating Academia. 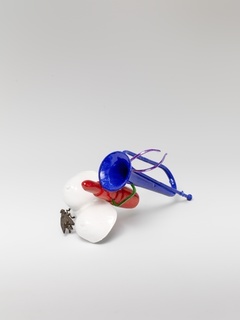 Jean-Luc Moulène, contributor to Collapse 8 and subject of Reza Negarestani’s Torture Concrete, has a new show, Larvae and Ghosts, opening at Thomas Dane Gallery in London tomorrow: details here. Tonight Café Oto hosts the last night of Mattin’s residency Noise & Reality: The Malevolence of Our Times: Alienation as an Enabling Condition, with Mattin and Ray Brassier in conversation. The residency also serves to launch Mattin and Miguel Prado’s new release Evacuation of the Voice a performative inquiry into geotrauma and vocalisation. Full recording of the LGS’s 2015 event ‘What Can We Do With Non-Philosophy’, with contributions from Alexander Galloway, Ian James, and John Ó Maoilearca is now available at backdoorbroadcasting.net. We hope that you’re enjoying the new Urbanomic site—we are of course happy to receive any feedback. Huge thanks to Leaky Studio for their amazing work on the site (going way beyond the call of duty to please a difficult client! ); and to Artur Tixiliski for his photographic work for the book pages—he did a perfect job of visually communicating our belief in and commitment to the book as a material form. Building the site has meant something of a hiatus in terms of organising events and getting new publications out, but rest assured that will be remedied over the remainder of 2016 (after a brief pause for breath)—starting with the publication next month of François J. Bonnet’s The Order of Sounds. There are several other books, and also a new volume of Collapse on the way, more details to come soon. It was obviously necessary to replace the old, very much outdated, site; but in doing so we wanted to make something that was more than a shop window, and gradually this developed into a ‘pathologically comprehensive’ approach, realisation of which took a lot longer than expected…. What’s happened since then is that our cohort of contributors has grown, many of them returning and contributing across different publications and events, a new and enthusiastic audience has grown with us, new conceptual spaces have developed, and we’ve continued to try and bring together people and ideas from very different disciplines and points of view. But what’s always been paramount is that Urbanomic is not interested in stocking a cabinet of curiosities, creating a miscellany or a whimsical collection of eclectic materials; nor are we interested in advocating one single philosophical agenda or point of view. The aim has always been to produce and refine an ‘editorial machine’ that would operate to select heterogeneous materials with a view to operating new syntheses, overlaps, montages, connections that allow passage between these materials, stitching them together in new ways and activating new conceptual circuits—and that’s what we wanted to try and reflect on the site. (Another consequence of the development process has been to lead me to repeatedly return to and recalibrate the statement of what is at the core of Urbanomic’s work). So, the site offers a comprehensive overview of existing work (complete with the excavation of some archive materials that have been lying dormant in the filing cabinet for years!—more of that to come); but more importantly it provides a platform where readers can navigate this material, creating their own path through it (tracking particular concepts through tags, looking at the work of particular contributors, following links between documents, events, books, and posts, and even chapters—yes, the site contains a page for every chapter of every book we’ve ever published…). And, of course, we’ve also made it easier for ourselves to regularly add new online content, so the site will hopefully become rather more of a live destination than the previous one (which was very much moribund if not entirely defunct). It’s a new way for us to extend further our commitment to transdisciplinary thinking, bringing together theorists and practitioners from many different fields, in search of new conceptual movements and montages. Once again, we’re really happy to receive feedback and suggestions for the site, format and content-wise. 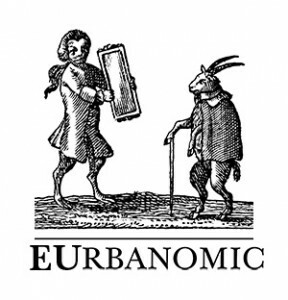 And I’d like to thank everyone who’s supported us over the years and enabled Urbanomic to survive. The construction of what I hope is a unique space of thinking is in no way separable from the emergence of a new audience, many of whom have in their turn become contributors to new publications and projects. This is what fuels the ‘editorial machine’ and keeps it running (although of course, like any desiring-machine it ‘only works when it breaks down’ ). It’s your support that has allowed it to develop into something whose existence, although I did indeed vaguely imagine it back in 2006, is a constant source of amazement. Finally many thanks to Sequence Press, whose support and collaboration has been absolutely crucial for Urbanomic since we began our partnership in 2011. Look out for announcement of some exciting new Urbanomic/Sequence titles coming up for 2016, too…. 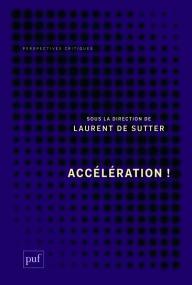 Accélération, a new French-language collection on accelerationism, is out from PUF, no less, on 20 April—including contributions from the usual suspects, including Srnicek and Williams, Land, Brassier, Fisher, Avanessian, Negarestani, and also Laboria Cuboniks’ manifesto, plus a chapter on accelerated ecology from Yves Citton. Details here.